Hanging day beds from Le Bench are a perfect way to leisurely enjoy a lovely summer day outdoors. Available from the Le Bench Northern Beaches outdoor furniture shop in Sydney, these hanging day beds are made from hardwood and available in a range of sizes and finishes to meet every design need. 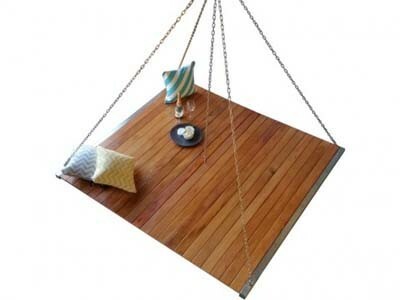 Le Bench’s hanging day bed can be suspended on a deck or from a tree. Options also include an ice bucket that can be added to the bed for convenience.